Patricia A. 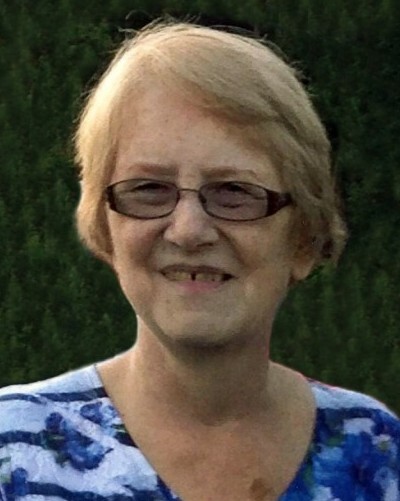 Field, 72, of Shelton and formerly of Milford, beloved wife of Gary Field, passed away peacefully on April 6, 2019. She was born in Milford, CT on May 19, 1946 to the late James C. and Marguerite (Rogan) Stewart. Patricia worked at the US Veterans Affairs Hospital in West Haven and for the St. Vincent’s Special Needs Services of Trumbull. She also enjoyed watching UConn Women’s Basketball. She will be greatly missed. Patricia is survived by her children, Christopher (Lisa) Wright, Terrie (Glenn) Bennett, Jamie (Roger Charbonneau) Wright; her grandchildren, Taylor, Karlie, Max, Derek, Heidi, Krista, Christopher, Kayla, and Tori; her great-grandchildren, Isabella, Madison, CJ, Wyatt, Cody, Lucas, Parker, Hayden, Jason, Robbie, Jameson and Roman; her several nieces, nephews, and cousins; and her Yorkie, Hallie. Patricia was predeceased by her sister, Sandra Paine. Family and friends may call on Wednesday, April 10, 2019 from 4 p.m. to 8 p.m. and Thursday, April 11, 2019 from 9:30 a.m. to 10:15 a.m. at the CODY-WHITE FUNERAL HOME, 107 N. Broad St., Milford, CT. A Graveside Service will take place on Thursday, April 11, 2019 at 11 a.m. at King’s Highway Cemetery, 271 Cherry St., Milford, CT.